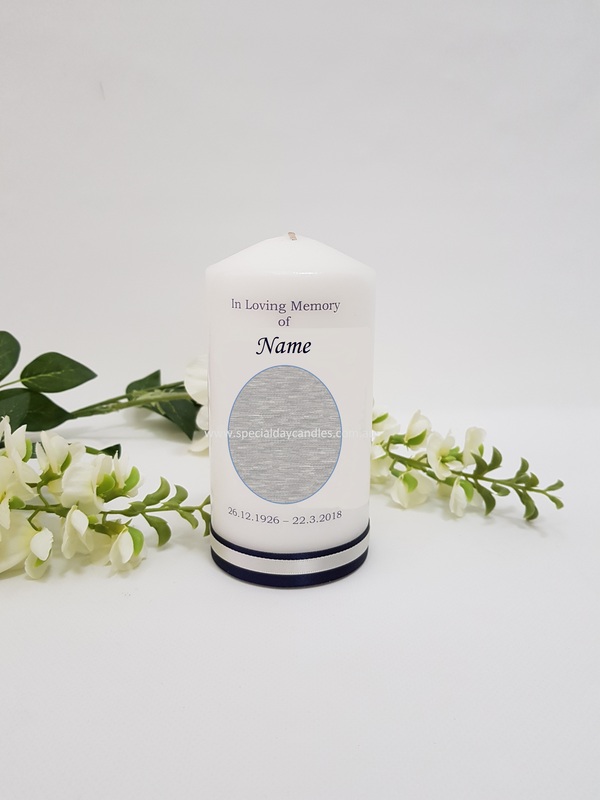 Memorial – Funeral personalised photo candle. 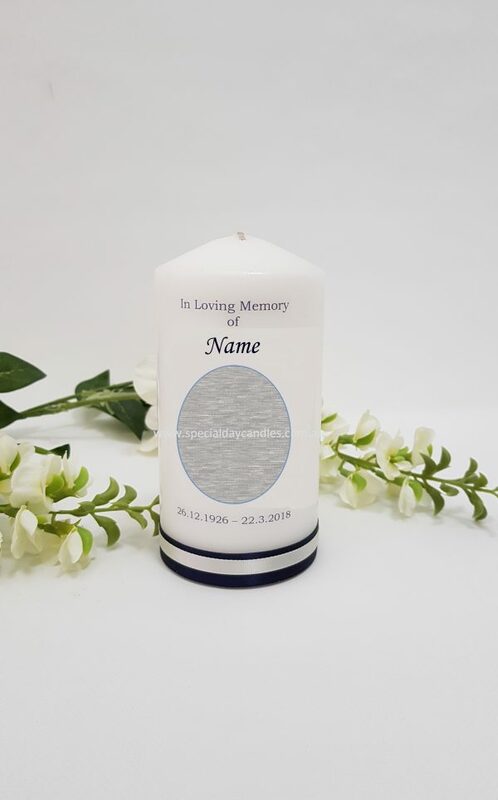 This Candle is only available in one size with a variety of font styles and colours. 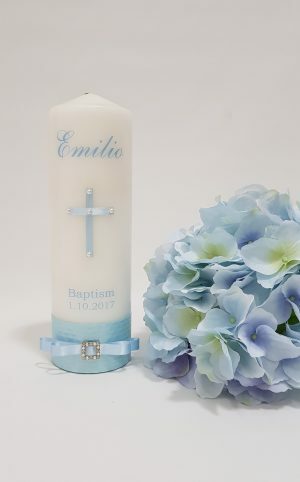 Note: Ribbon will compliment font colour chosen. eg. 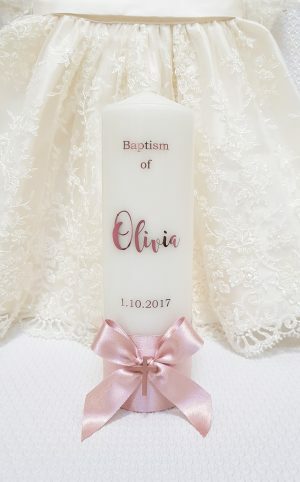 Navy font will be embellished with navy & ivory ribbon, Black font will be embellished with white and ivory ribbon, Antique pink font with antique pink & ivory ribbon, Brown font will be embellished with brown and ivory ribbon, Pink font will be embellished with pink and ivory ribbon. If you have a special request, please add it in the ‘Text Area’ field.